To celebrate their 20th anniversary, Pearl Jam has jam-packed 2011 full of their unique brand of awesomeness. In January they released Live On Ten Legs, an album of live tracks culled from various shows from 2003-2010, and they’ve also got a Cameron Crowe-directed DVD with accompanying soundtrack set for release later this year. Throw in talk of a 2oth anniversary festival and recording sessions for a new album and you can see that they’re just as concerned with moving forward as they are at looking back. But most recently, the year of celebration has yielded remastered version of their second and third albums, Vs. and Vitalogy. Each album gets an amazing sonic boost and has some great bonus tracks added. You can buy the albums individually or they come in some nice packages with even more goodies attached. The deluxe edition comes with Live At The Orpheum Theater, an electrifying live show recorded in Boston in 1994 and the super deluxe edition (available only through pearljam.com) comes with Vs., Vitalogy and Live at the Orpheum Theater on 3 cds and 5LPs, plus a 60-minute cassette tape from their 1995 Self-Pollution radio show, a composition notebook with photos, drawings and artwork and a memorabilia envelope filled with lithographs, postcards, posters and more. While some reissues don’t exactly live up to their hype, these are absolutely worth every penny. Vs. – Following up a stellar debut is no small feat, but Pearl Jam was definitely up to the task. Setting a record for albums sold in the first week, Vs. showcased an even more aggressive Pearl Jam than we were introduced to on Ten. For me personally, the fall of 1993 was an incredible time as Vs. was released just a month after Nirvana’s In Utero album. Before I had a portable cd player, I burned my copies of each one to a cassette tape that I played constantly when I was away from my house. “Go” straight through to “Indifference,” flip tape, “Serve The Servants” to “All Apologies,” flip tape, repeat ad infinitum. 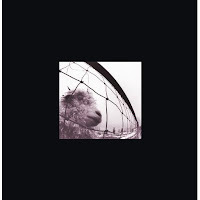 This new remastered version of Vs. really amps up the raw power Pearl Jam displays in songs like “Go,” “Animal,” “Blood” and “Leash” and it deepens the spaces found in songs like “W.M.A.,” “Indifference,” and “Daughter.” The drums are crisper, the bass is bigger than ever and the guitar interplay sounds even more impressive than it originally did. For bonus tracks, the remastered Vs. has an acoustic demo of “Hold On,” an instrumental called “Cready Stomp” and their cover of “Crazy Mary” with Victoria Williams on vocals and guitar that appeared on the first Sweet Relief benefit album in 1993. Vs. has always been my favorite Pearl Jam album and this reissue boasts a great sonic upgrade to an already great album. Vitalogy – Vitalogy was released at the end of 1994 and if I’m being honest, Pearl Jam lost me a little on this one. While I dug the fact that they were trying new things, including releasing the album on vinyl a few weeks before the cd and tape releases, Vitalogy wasn’t as immediately accessible as their previous two albums had been for me. While “Spin The Black Circle” and “Not For You” are two of my all-time favorite Pearl Jam songs, the album as a whole just didn’t grab me. That being said, the remastered version of Vitalogy has me listening with new ears. Where Vitalogy forsakes riffs and hooks for a more experimental approach, this remaster has enhanced the clarity to pick out most of what’s going on underneath the main musical ingredients. Moments like Eddie’s mumbled vocals in the fade out section of “Corduroy” and the various sounds flowing through “Aya Davanita” are a little easier to decipher due to the great remastering job. Throughout the album, the various guitar leads and bass lines stand out a little more as well. The bonus tracks include a gorgeous version of “Better Man” with only guitar and organ, an alternate version of “Corduroy” and a demo of “Nothingman” with Richard Stuverud of The Fastbacks on drums. My Part-Time Cover: "Love Vigilantes"